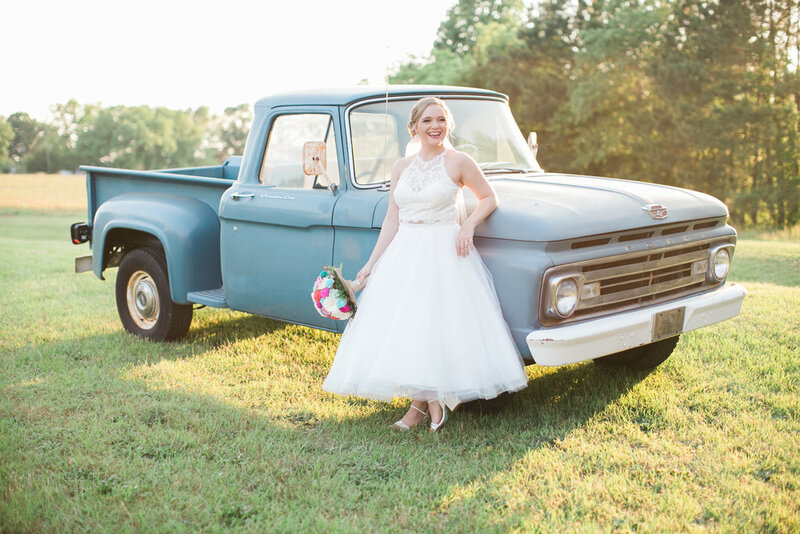 Nancy made the most beautiful Southern Belle Bride I have ever seen! 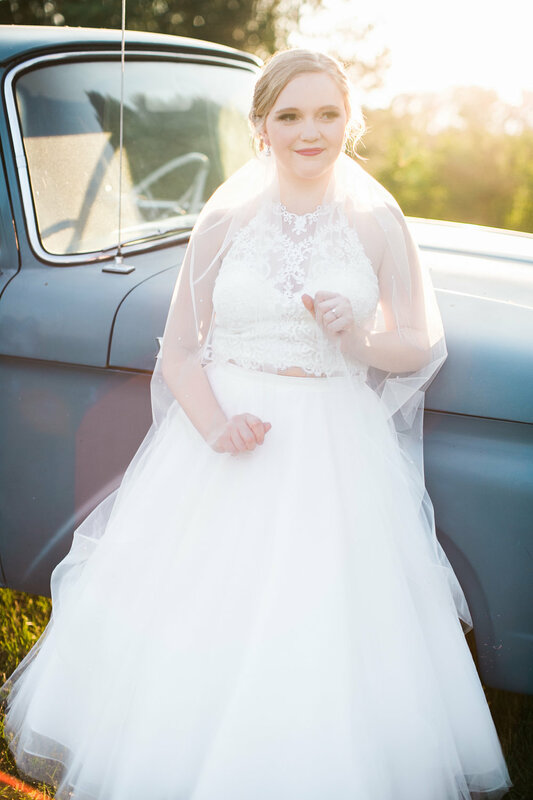 Her bridal portrait session couldn't of been any more perfect. Okay, well besides the fact that I was attacked by mosquitos, fire ants and walked through mounds of dirt fields in a dress! HA! Nancy is lucky that I love her! We also went riding around the fields in an open jeep with Nancy standing on the outside holding on as tight as she can. It was definitely a sight to see! 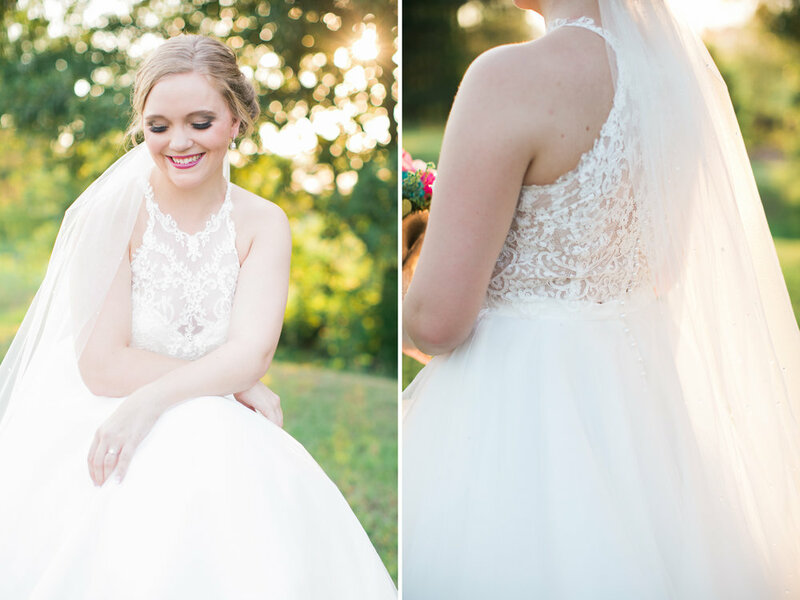 Two things I loved about this session : 1) Nancy's dress was TWO PIECES! She looked amazing in it! 2) Her flowers were made of WOOD! Her bouquet was made from Sola flowers, which is soft wood shaped into floral designs. How cool is that!? I could't of asked for a better sunset to end the night. 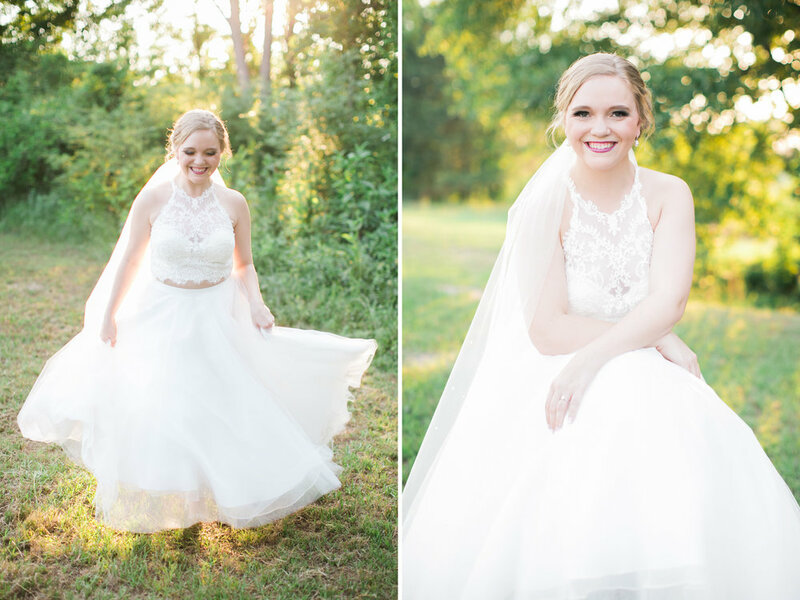 I love when brides choose to add a Bridal Portrait session to their wedding collection. It's the perfect time to do a trial run on your hair, makeup and flowers! Wedding days can be so crazy at times, that you don't always get an extended time to take pictures of JUST the bride. 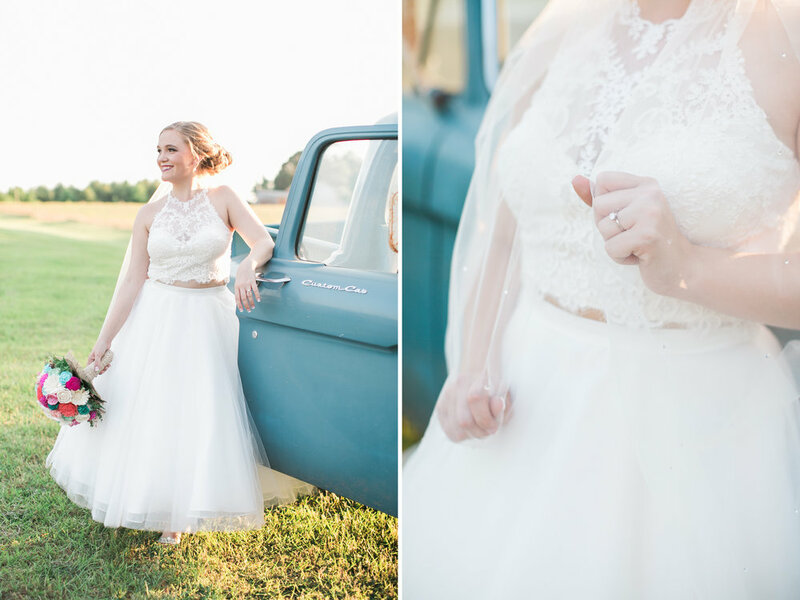 Having a bridal portrait session allows us to take our time and show off every little detail that you worked so hard in planning. And...you get a chance to wear your dress one extra time!